If you have ever designed a room or redecorated a house, you know that it is much easier to work with new furniture. You buy furniture with the room in mind. If it does not fit into the design of the room, you do not get it. The challenging part is figuring out where your existing furniture and pictures fit. The same is true for alignment. The most challenging aspect of alignment is pulling existing ministries and existing staff in the same direction, especially if they have been moving in opposite directions. It is much easier to align new people and new ministries to the overall direction. If they do not fit, you simply do not allow them to begin. According to the research we gathered for Simple Church, we found it is vital that you make sure new ministries fit into the simple process before they begin. Finding out afterwards is always too late. We asked vibrant and comparison church leaders to state their level of agreement with the following statement: “Before we begin a new ministry, we ensure that it fits within our process.” Of the vibrant churches, 68 percent strongly agreed or agreed compared to 40 percent of the comparison churches. The vibrant church leaders tend to ensure new ministries understand their place in the process prior to their launch. Before you purchase a new pair of shoes, you wear them in the store. You walk around in them. It would be unwise to buy them without knowing if they fit right. Shoes that do not fit are found at the bottom of your closet. They create more clutter. Checking the fit is essential. Simple church leaders check the fit. Before a new ministry is launched, they ensure it is a viable part of the simple ministry process. They clarify specifically how the new ministry will move people through the process. And they ensure that the leaders of the new ministry understand how the ministry is part of the big picture. We are drawing a distinction between a program and a ministry. Ministries are different from programs. Ministries are either entire departments (ministry expansions) or specific groups (see ministry additions) that help move people through one aspect of the process. 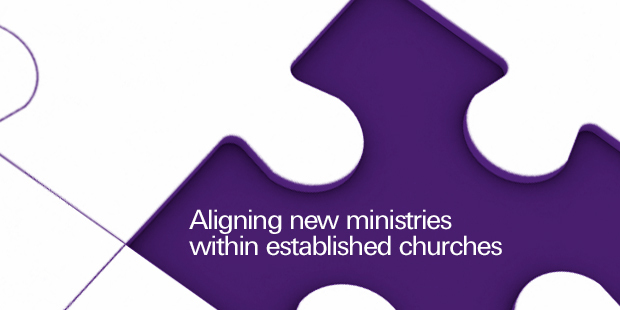 In a simple church new ministries can be divided into two broad categories: ministry expansions and ministry additions. Checking the fit prior to inception is critical for both. Ministry expansions are new ministries that are geared toward a specific age group or life stage. The church ministry is expanding to focus intentionally on a specific group of people. The new ministry is going to be a new department within the church such as a new middle-school ministry department or young couples department. In both of these cases, these groups were formerly a part of a different ministry. Now they will have their own identity. For ministry expansions, begin the new ministry with the same simple process. Be sure the programs within this ministry are placed to move people through the process. Ministry expansions are a great opportunity to highlight the simple process. You can begin them without the clutter. You can use these new ministries to show existing ministries the benefits of a streamlined approach. Ministry additions are new ministries that fulfill a specific function within the simple process. These ministries must be set up to help move people through the process of transformation. For example, the baptism ministry team makes it easy for people to move to baptism. The guest reception ministry helps move guests into the life of the church. If it is unclear how a ministry addition will move people through the simple process, do not launch it. In either case, whether you are expanding or adding a ministry, always ensure the ministry fits within the larger church process and vision. If you’re interested in evaluating the clarity, movement, alignment, and focus of your church, you can take a free online Process Design Survey at EricGeiger.com.